Budget airlines SpiceJet 12th Oct, 2018 said it has inducted its first Boeing 737 MAX 8 aircraft that forms part of a $22 billion purchase deal signed with the American aircraft manufacturer. "SpiceJet had signed a $22 billion deal with Boeing for up to 205 aircraft in 2017 and this is the first aircraft delivery from that order," a company statement said. "These new airplanes will enable us to open new routes, and will dramatically reduce noise pollution and greenhouse gas emissions. 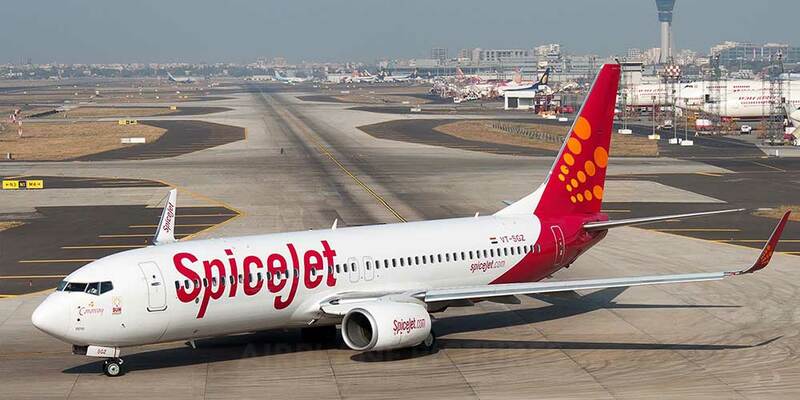 Passengers will benefit from a large number of premium seats and, for the first time in India, broadband internet on board," SpiceJet Chairman Ajay Singh said in a statement.